There is a trend among designers to use as little contrast as possible. This results in invisible interface items and unreadable text for people with a bad monitor or people who are older than the designer (which is probably almost everybody). And it results in embarrassing moments when the designer has to present the work on a beamer, to the client. It’s a bit minimal, isn’t it? There’s a very simple, practical solution to prevent these kinds of design. Of course educating them would be the best solution but in my experience, educating designers can be very time consuming. The solution I propose works only on a Mac. 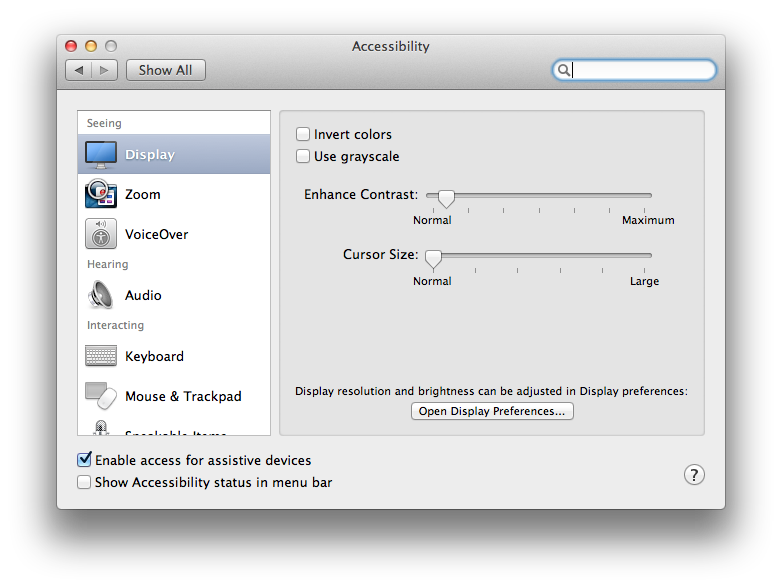 Go to the System Preferences on their machine, open the Accessibility pane, click on Display and set the Enhance Contrast slider halfway between the first and the second line. Invisible at first, but it will improve the contrast in their work dramatically. Where should the logo be?